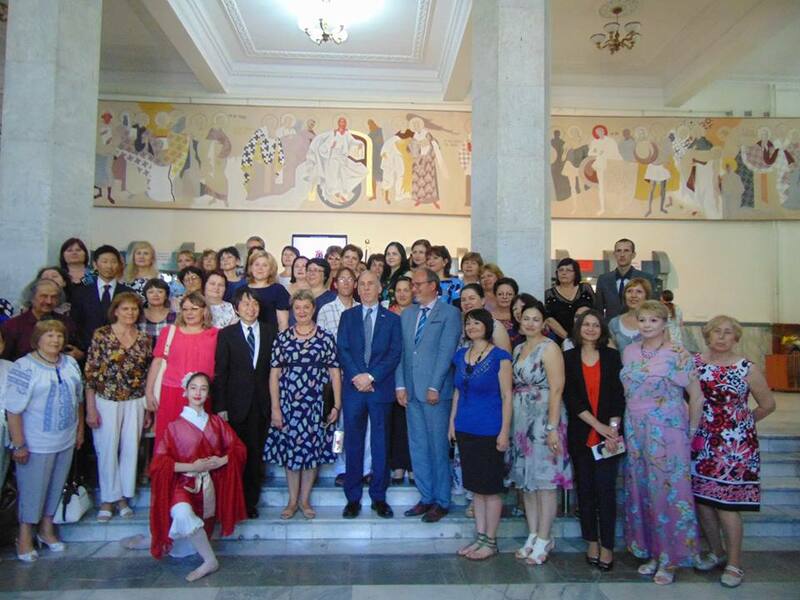 SIS Professor Hermina Anghelescu spent one week in the Republic of Moldova, at the invitation of the Embassy of Japan in this country. She was invited to share her four-month experience teaching library science at the University of Tsukuba, visiting libraries, and interacting with librarians in Japan. She lectured at the National library in Chisinau, Moldova's capital city, and at the Cahul City Library. In the above picture she is flanked by the ambassadors of Japan and the United States.